Senior Emma Hensley, pictured here at a game last season, plans to play a Missouri State University next year. Imagine going into your senior year of high school knowing where you’re going to college. For some senior student athletes, they have known where they’re going to school for over a year. Senior wrestling state champion Noah Surtin committed to the University of Missouri on Oct. 21 of his junior year. Last year’s varsity soccer caption senior Sarah Kraus agrees. She committed to Bellarmine University last February. Picking a school for any student is difficult; however, for student athletes, they have to take into account their future studies, social life and high athletic commitments. 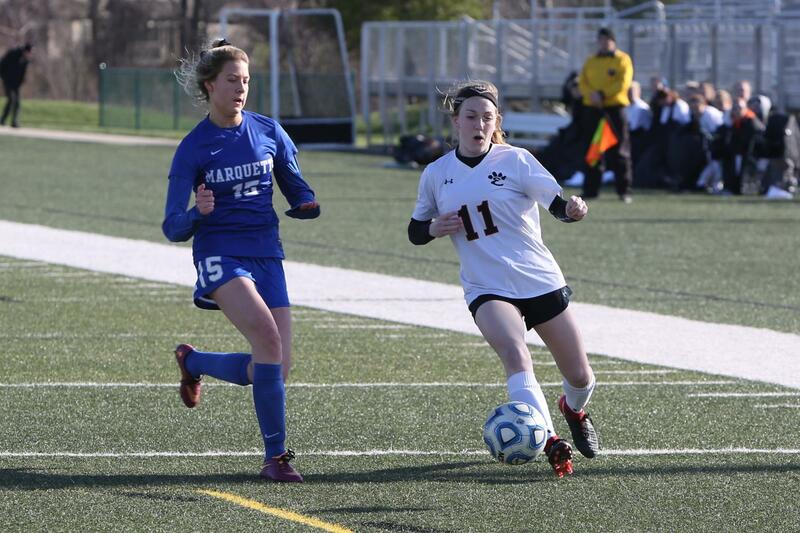 Another varsity soccer player, senior Emma Hensley, committed to Missouri State University at the end of her junior year. She agrees with Kraus, saying that soccer was just a small piece of the puzzle when it came to picking a school. Surtin, the earliest commit of the senior class, said committing so early was a big decision.